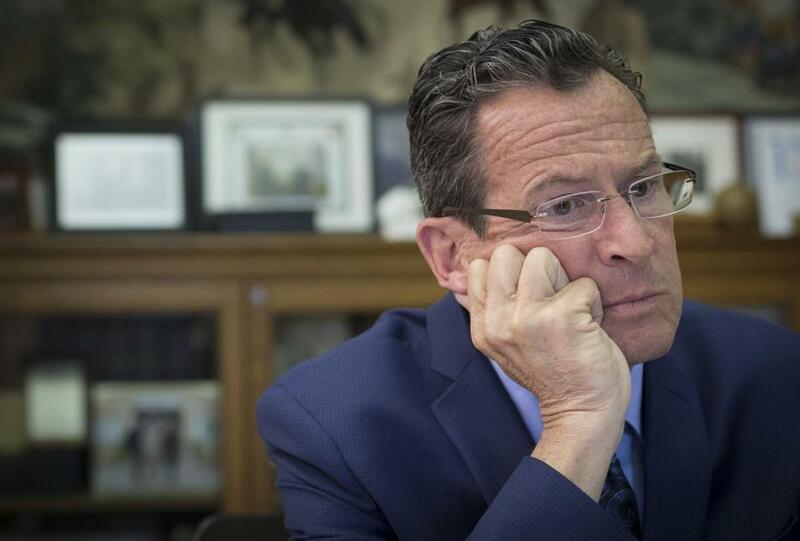 Connecticut Governor Dannel Malloy isn’t seeking a third term, leaving an open seat and a host of problems. HEBRON, Conn. — You’d be forgiven if you haven’t thought much about the Connecticut governor’s race. With all that’s happening politically on the national level, and indeed around New England, a low-profile race in a deep-blue state might not seem worth much attention. But it should be and here’s why: Connecticut provides the best chance in the country for Republicans to flip a governorship from blue to red. Doing so would bring not just bragging rights, but the ability to influence legislative redistricting and maybe even turn around a state that badly needs both an economic and political fix. It could also mean we might see Republican governors in five of the six New England states. If you consider recent Connecticut history, a Republican takeover of the governor’s office would be unusual. Democrats have won all the major offices in the state for years. And it has been three decades since Connecticut voted for a Republican presidential candidate. The state’s entire congressional delegation is Democratic, as is the sitting two-term governor. Nonetheless, Republicans aren’t crazy to see an opportunity here. All local and national analysts say the race is a tossup. There are roughly 25 candidates running, and so far, it is pretty much a hot mess. The Democratic field isn’t much better. A round table this week of gubernatorial candidates in Glastonbury required four large folding tables just to fit all of them. But, no matter how many candidates are on the stage now, analysts say the whole contest is really about two men who aren’t even on the ballot. “This is about whether Connecticut voters decide they hate Donald Trump or they hate [current Governor] Dannel Malloy more,” said Tom Dudchik, who runs the insider CT Capitol Report website and hosts a weekly political television show. Another way of putting it: Can Republicans do a better job distancing themselves from an unpopular first-term president than Democrats can do in distancing themselves from the least popular governor in the country? But that will prove challenging when the field includes few recognizable names. Among the candidates now running is a felon (who also happens to be the mayor of the state’s largest city), other mayors of cities large (Hartford) and small (Shelton), several state legislators, a few rich guys, immigrants, and a refugee. There are blasts from the past like the former US comptroller, the guy who beat Joe Lieberman in a Democratic primary a dozen years ago, and a former Connecticut secretary of state. And to top it all off there is also a well-regarded independent candidate whose share of the vote might just decide the whole contest. The race is also defined by who isn’t running. Malloy, the Democratic incumbent, isn’t seeking a third term, leaving an open seat. His lieutenant governor passed on a run, as did state Senator Ted Kennedy Jr., son of the former Massachusetts senator. Every member of Congress also decided against a run. And, really, why would they choose Hartford over Washington? “Why I would even consider this job in the first place is something my wife asks me pretty much every day,” Democratic candidate Ned Lamont, known for besting Lieberman in a 2006 primary, said in an interview. What was once was the wealthiest state in the country is now broke. The public pension system needs to be rescued. Several major corporations, like General Electric, have left in recent years. That has taken away jobs, reduced state revenues, and depressed the prices of homes. When Malloy raised income taxes, some of the state’s wealthiest residents just moved to a different state. When the state government finally passed a two-year budget (six months after it was supposed to) lawmakers did so with the knowledge the state will still have a $224 million deficit. Some of those problems Malloy inherited when he took office eight years ago, but the dam broke on his watch, and that’s left the party jittery about its chances of staying in power. “Inside the party, there is a deep appreciation that we have a fight on our hands to retain the governor’s office. No one is even trying to spin it that it will be simply OK,” said John Olsen, the state’s Democratic national committeeman. One thing the (enormous) field of gubernatorial candidates agrees on: It’s pretty gloomy in Connecticut these days, at a time when other surrounding states are prospering. But if Malloy is a political albatross for Democrats, Trump poses his own problems for the GOP. Each party will have to confront those obstacles in the next few months as they head into the May conventions, where they will winnow the field to a handful of candidates. The problem, of course, is that there is swirl of chaotic dynamics at play that make the race difficult to predict. The state is struggling, the parties are grappling with identity problems, and the field of candidates is unknown and largely untested. Even the most seasoned political observers would have a tough time reading the tea leaves in that landscape.